Great location for Disney. Front desk was accommodating when our kid got sick and we needed to check in early. Spacious apartment with lots of room and a full kitchen. Friendly staff and restaurants right across the road. I liked everything besides the broken lock on the master bedroom door. The suite had a bedroom and living room door, so it was easy to watch TV or talk without waking the kids. A/C was nice and cool. The staff was very friendly, during and after our stay. Small Playground on site. Walking distance to a few cheap restaurants. we went with our three adult children & my daughter-in law also my grandaughter that is 3 years old. The room meet the needs for me and my family and the activities they had to keep kids busy were great. 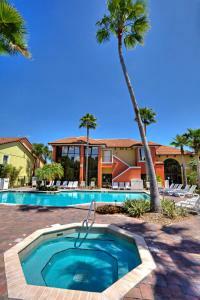 Very clean and spacious, pool/hot tub/playground area nice and staff was friendly and accommodating. Would stay here again! The spacious rooms. The washer/dryer and kitchen area. The beds were nice. Close to attractions but it is a very busy area with lots of traffic. It had a separate bedroom verses the studio concept. The Jacuzzi tub was nice. The place was clean. Free WIFI. 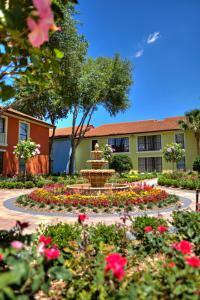 Lock in a great price for Legacy Vacation Resorts - Lake Buena Vista – rated 8.6 by recent guests! Legacy Vacation Resorts - Lake Buena Vista This rating is a reflection of how the property compares to the industry standard when it comes to price, facilities and services available. It's based on a self-evaluation by the property. Use this rating to help choose your stay! One of our best sellers in Orlando! This Lake Buena Vista property is 4 mi from the Walt Disney World Theme Park and 3 mi from Sea World Orlando. It features an outdoor pool, business center and playground. The suites at Lake Buena Vista Legacy Vacation Resort include a kitchenette or kitchen and living area. All suites are also equipped with a flat-screen cable TV. Guests at the Legacy Vacation Resorts are provided with basketball and tennis courts. The property offers a front desk with information on car rental services, theme park tickets and other area activities and information. 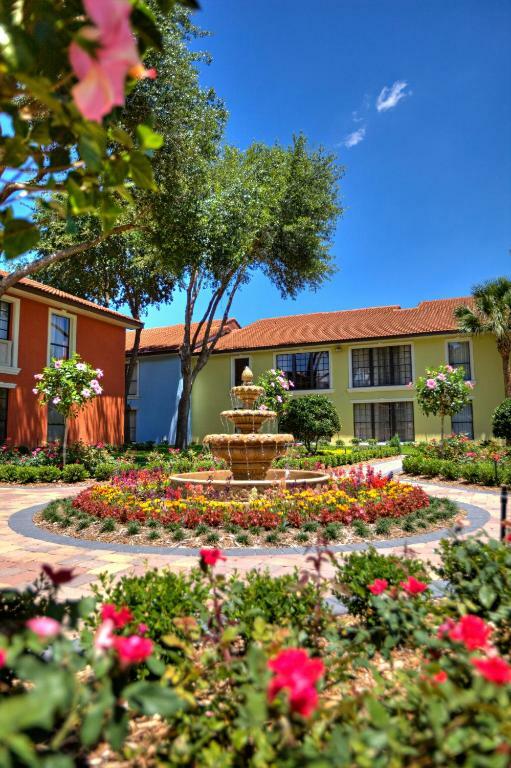 The Lake Buena Vista Legacy is 8 minutes’ drive from the Orlando Premium Outlets, which features shopping. Universal Studios is 8 mi from the hotel. 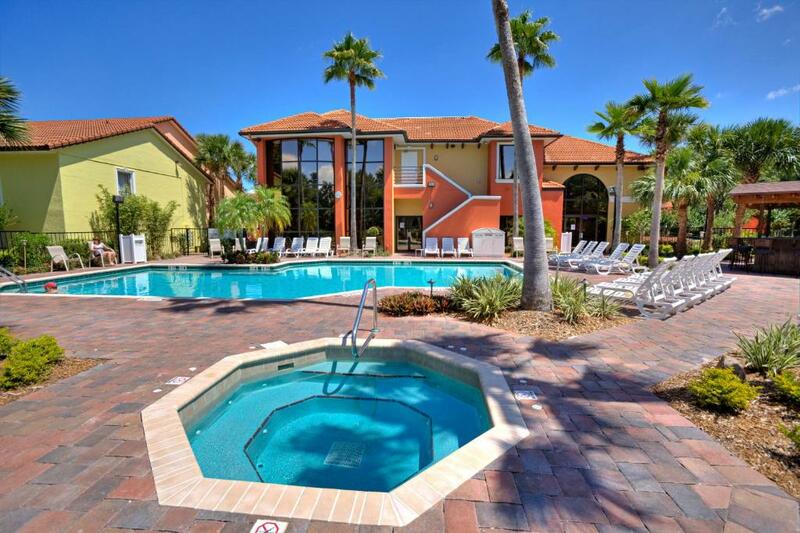 뀐 Located in the top-rated area in Orlando, this property has an excellent location score of 9.0! 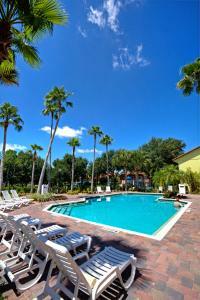 When would you like to stay at Legacy Vacation Resorts - Lake Buena Vista? This suite offers a kitchenette with a microwave and refrigerator. A flat screen TV with cable channels are offered, as well. This suite offers a fully equipped kitchen. A flat screen TV with cable channels are offered, as well. This spacious suite features an additional bathroom and a fully equipped kitchenette. A flat screen TV with cable channels are offered, as well. 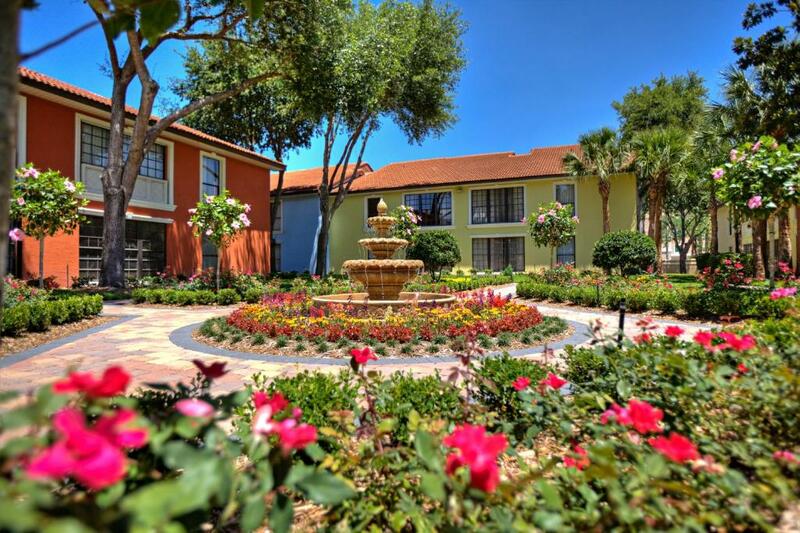 Located just minutes away from Disney®, Legacy Vacation Resorts Lake Buena Vista is also only 2 miles from The House of Blues, shopping & restaurants. Onsite, guests can enjoy the swimming pool, hot tub, tennis court & beautiful garden. 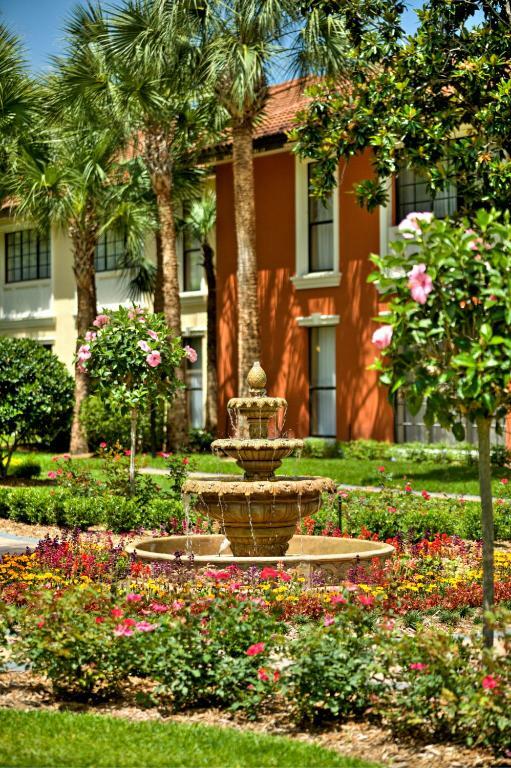 Feel the magic the moment you arrive at Legacy Vacation Resorts-Lake Buena Vista. Located just minutes away from Disney Springs® which includes such entertainment like The House of Blues, DisneyQuest® and Cirque du Soleil, and just steps from fabulous shopping, restaurants, and nightlife. Area Info – This neighborhood is a great choice for travelers interested in Disneyland, family-friendly trips and theme parks – Check location Excellent location – show map Guests loved walking around the neighborhood! 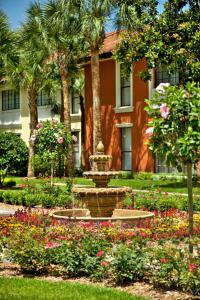 House Rules Legacy Vacation Resorts - Lake Buena Vista takes special requests – add in the next step! Legacy Vacation Resorts - Lake Buena Vista accepts these cards and reserves the right to temporarily hold an amount prior to arrival. Name of reservation must match name on credit card used to pay for the reservation. Please note that housekeeping is available daily for an additional fee. Please note a credit card is required for the deposit and security deposit. Anything above 9 rooms is considered a group booking and special deposit and cancelation policies apply. Contact property for details. Jets in the jacuzzi tub didn't really work. The blinds in the room need to be curtains - being on the end of the building there was a light illuminating the walkway that shone upwards. The room was so bright that you could probably read a book. Curtains are a much better option. Tennis court lights also did not help, how about a timer button that guests can turn on if they’re out there rather than leave them on for the evening? The floor plan in the junior suite was a bit awkward. You walk into a hallway, LR on one side, bedroom on the other. There were 2 adjoining doors to other suites in the hallway. Only the full size suites have full kitchens- this was a microwave, dorm fridge and coffeemaker with a sink. The fridge was turned off, and I didn’t realize, so my food was all spoiled. You have to call to have them pick up your trash or request housekeeping (for a fee). The room was a 1 bedroom suite which had all the amenities needed. The full kitchen made it convenient to make breakfast before venturing out on our day. The washer/dryer was a nice plus! Also the pool and hot tub were very clean and relaxing. Checked in after hours, room was fully paid for. Had to call on a phone. Room required a 100 deposit. They had trouble processing the payment. Tried multiple methods of payments. After 2 hours of waiting drove to cvs for a prepaid card. Tried that no success. They made my family and I wait 3.5 hours to get into our room. When we did it was a musty smelling room. Room caused my son to have an asthma attack. Walls are paper thin. When the people next to us woke up at 6am it was like they were in our room. Went down to the office requesting my money back. No refund policy. So I asked for another room. And asked to talk to a manager. Was told he would call me. But never did. Not surprised. Front desk told us the new room would be ready at noon. Was not ready unit 2pm. Again not surprised. Was told I would get a voucher for my first night stay. Didn’t. Again not surprised. I would never go back to this place and recommend staying away. Thin walls allowed for too much noise from adjoining unit. The size of the apartment and location.